It looks like old school is making a huge comeback when ti comes to fitness training. At www.morleyathletic.com you’ll find a huge selection of old school training tools. No surprise considering we’ve been in business since 1931. We’ve got a huge selection of climbing peg boards, chinning bars and more. 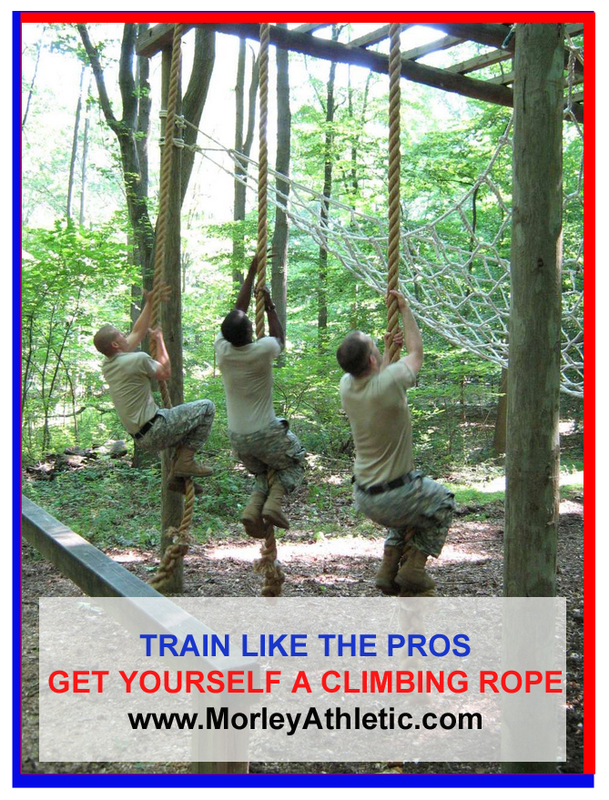 One of the most popular training tools right now is climbing ropes. May sound simple but they build upper body strength and they are fun to use. best part is you don’t need to spend hundreds on a yearly gym membership to use one. 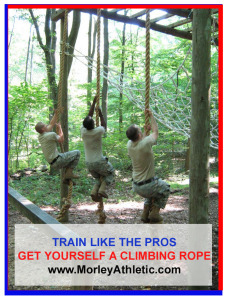 You can buy your own climbing rope, made to your specifications and still save a ton of money. Select from 3 different materials, any length you need, select the end type you like and add knots if needed. Whatever type of climbing rope you need we have it because they are all made to your specs. Don’t need a custom design? We have you covered there too with standard 18′ length ropes in all materials. All Made In The USA! Check out our selection of indoor and outdoor climbing ropes and order your rope today so you can start training like the pros!